If you have had a recent leak that has flooded your house, one of the first repairs you may need to make is to fix your water-damaged floors. While big leaks are usually detected right away, smaller ones, such as those from leaking washing machines or toilets, can go on for months or years without being noticed. Whether you have hardwood flooring, laminate flooring or tile flooring, it can all be affected by water. Read this article from your local Los Angeles water damage contractor to figure out how to assess if you have water damage, and how to fix water damaged floors. *Tile – Although tile is the most resistant type of flooring to water, there are signs that point to its existence. 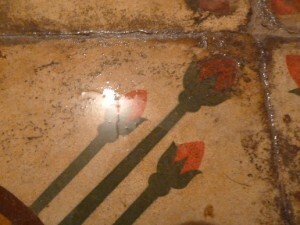 Any discoloration, stains or mold can result from a small and steady leak that damaged the subflooring under the tiles. Also, water can weaken the adhesive seal and grout that hold tiles together. Therefore, lose tiles, or ones that sound hollow, are an indicator of water damage. *Linoleum or Vinyl – Linoleum flooring is pretty susceptible to water damage. If water has reached the particleboard under the linoleum, it will cause the floors to stain and discolor. *Wood Flooring – Wood flooring Los Angeles is the most vulnerable to water damage. 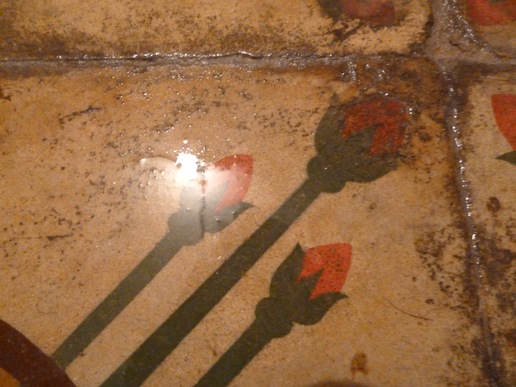 There are many telltale signs that floors have been affected by water. Spots, stains and soft spots in the flooring are giveaways that water or mold is present. Remember that hardwood flooring is actual wood, and the beauty of wood is that it can have naturally occurring stains; so look for anything new that wasn’t present before. Any dips, raised edges, soft spots and bubbling can also signify that water has gotten in. Assess the Damage – There are different degrees of water damage in Los Angeles. Not all water damage leads to floors needing to be completely replaced; you may simply need to fix the leak, dry the water, and refinish a small portion of the floor or floors. Or, you may need to replace not only your flooring, but your subfloors, as well. A qualified Los Angeles water damage contractor will be able to properly assess your house, and give you an estimate on the needed repairs. Remove the Water – After fixing the leak, whether it is from outside ground water, a leaky dishwasher, or from a firefighter hose following a fire, remove all the water. Smaller leaks require minimal effort, sometimes wiping down or fanning the spot. However, for larger problems, you should use a wet vacuum to suction out the water. Make sure you remove the paper filter before vacuuming. Make sure to turn on dehumidifiers and fans in the space to speed up the process of drying, open windows and doors and have plenty of fans for ventilation. Make sure to check that both the floors and the subfloors are dry. Check for Mold – The most dangerous side effect of water damage is mold. Black mold that can form on flooring or subflooring, and can cause major issues to your health. If you do find mold, call a certified mold specialist, such as West Coast Environmental Testing, to remove it for you safely. Remove Damaged Flooring – You may need to remove any floors damaged by water. Cut out pieces of linoleum or hardwood, and pry off any parts of tile affected by water. Wait a few days after all the water dries, and see if the hardwood buckles; if it does, it means water is present, if it doesn’t, you are good to go. If floors have or have not buckled, try to dry again using small electric heaters. If it is a large room you may want to rent a larger indoor heater. The sooner all the moisture is gone, the better. Less absorption means less damage. Resurface and Refinish – Many floors that have been affected by water damage can be simply resurfaced and refinished. However, make sure to do any of these repairs after you are 100% certain that all water has been removed. Otherwise, the new repairs will be useless, as the leak will continue to damage the floors. Water damage Los Angeles can greatly affect many types of flooring. Make sure to look for signs of leaks, as even small ones can significantly affect floors and subflooring and lead to other issues, such as mold. If you do find moisture or mold in your flooring, make sure to contact a local Los Angeles hardwood flooring expert, such as Hugs Construction. To get a quote to fix your water damage Los Angeles floors, contact us.